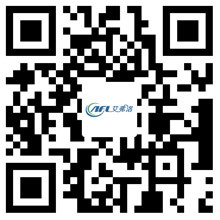 The Operation of Various Components of The Centrifugal Fan - Hangzhou Airflow Electric Appliances Co.,Ltd. The general structure of the centrifugal fan is mainly composed of stator part, rotor part, lubrication system, monitoring and protection system, bearing support system, sealing parts, regulating parts, power system and so on. The motor through the shaft power transmission to the fan impeller, the impeller rotation of the energy transfer to the air, the rotation of the air generated by centrifugal force, the air fan fan impeller to the surrounding diffusion, this time, the greater the fan impeller, the air received energy The greater the fan, the greater the pressure (pressure). If the large impeller cut small, will not affect the air volume, will only reduce the wind pressure. Centrifugal fan is mainly composed of impeller and chassis, small fan impeller mounted directly on the motor, the large fan through the coupling or pulley and motor connection. Centrifugal fans are generally single-sided intake, with a single stage impeller, the flow can be double into the air, with two back to back impeller, also known as double suction centrifugal fan. Impeller is the main part of the fan, its geometry, size, number of blades and manufacturing accuracy have a great impact on performance. Impeller by static balance or dynamic balance correction in order to ensure smooth rotation of the fan. According to the different leaf export direction, the impeller is divided into forward, radial and backward three types. Centrifugal fan allows full-voltage start or buck electric, but it should be noted that the full-voltage start-up current is about 5 to 7 times the rated current, buck starting torque is proportional to the square of the voltage, when the grid capacity is insufficient, reduce the voltage to start the fan. Centrifugal fan in the test, you should carefully read the product manual, check the wiring method is consistent with the wiring diagram; should carefully check the supply power supply voltage is not meet the requirements of the power supply is the phase or phase, the power distribution components Meet the requirements.